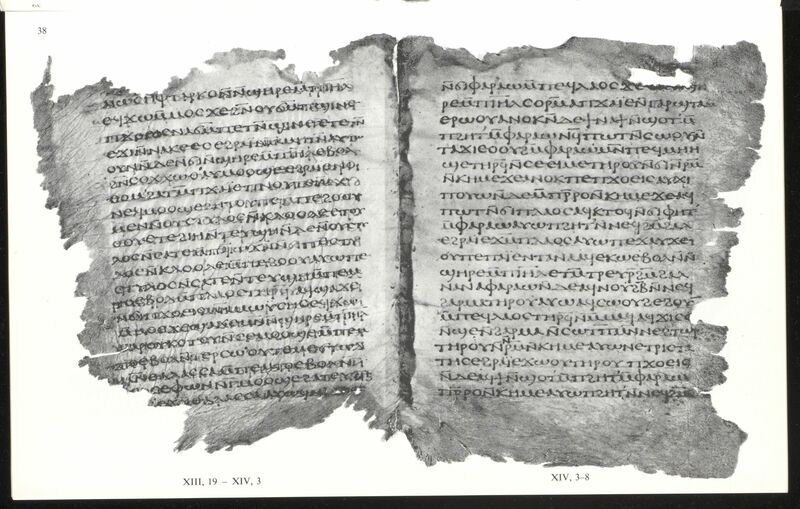 Parchment codex containing Exodus 1:1-15:21 in Coptic (Sahidic). 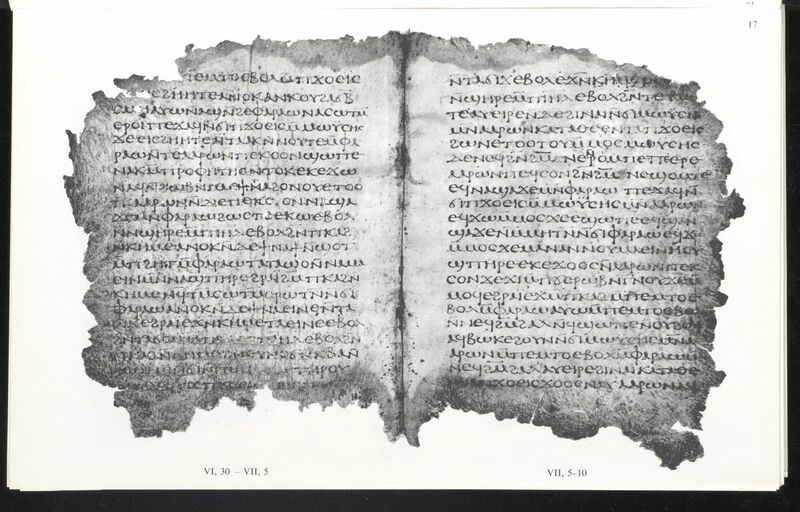 Description: P.Bodmer 16 is a well preserved parchment codex of Exodus in Sahidic with an intact leather cover and binding. CopistesKasser describes the single copyist as rather regular, a professional scribe writing in an almost cursive style (Kasser, Papyrus Bodmer XVI, 9). Orsini describes the script as a unimodular Alexandrian Majuscule (Orsini, “I papiri Bodmer,” 77). Dimensions: The width of the page is 13.5 cm. The height of the page is 16.0 cm. The ratio of the page (width/height) is 0.844. The writing is in a single column. The width of the written area is about 10.3 cm. The height of the written area is about 11.8 cm. There are 21 lines per page There are 42 extant folia. Cover: A dark leather cover stiffened with pasted papyrus leaves survives intact with the book block. The cover is broken away at the spine, which provides an excellent view of the sewing of the quires. The first and last leaves of the codex serve as pastedowns underneath the turn-ins of the front and back covers. Binding: The quires were bound using a link-stitch at two independent pairs of sewing stations. The thread is 1mm in diameter. On the folds of the third and fourth quires, there is a knot at the upper stitch. The lower stitch of the fourth quire has another knot. The codex ends with the title, “The First part of the Law.” The scribe uses single and double dots, a sort of comma and other small marks as punctuation in the manuscript. The text is also divided by paragraphoi placed at the left margin and marking important logical divisions. 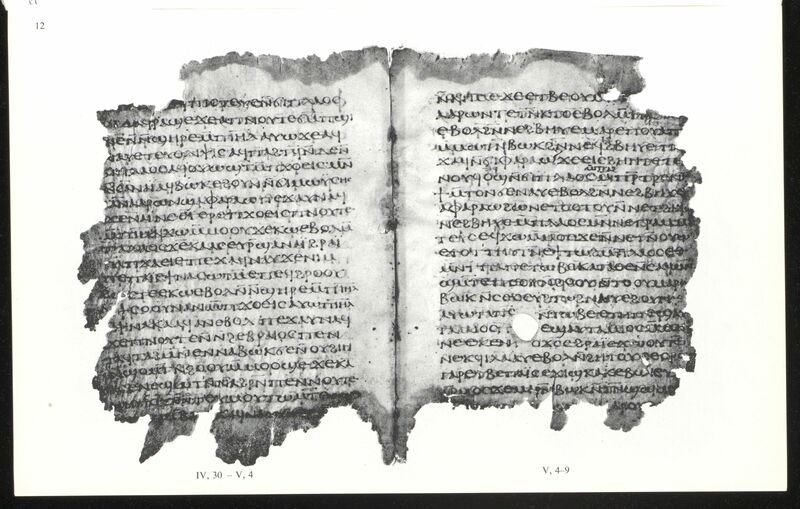 RésuméParchment codex containing Exodus 1:1-15:21 in Coptic (Sahidic). Kasser, Rodolphe. 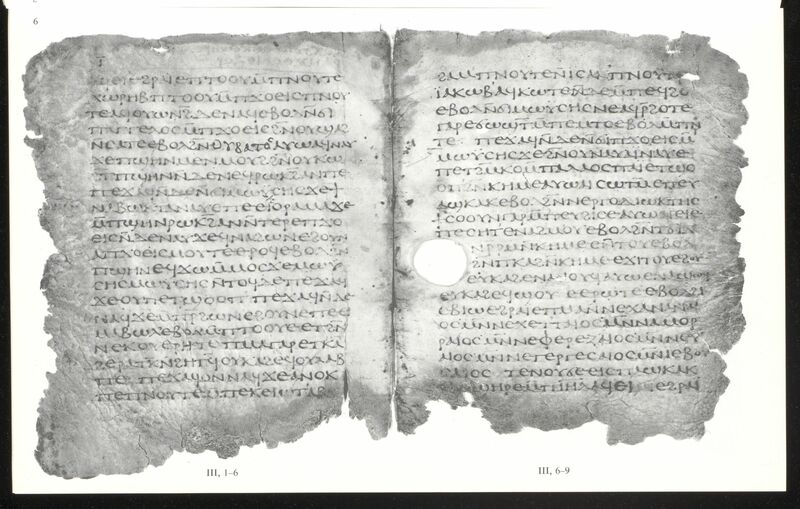 Papyrus Bodmer XVI: Exode I-XV, 21 en sahidique. Cologny-Geneva: Bibliotheca Bodmeriana, 1961.